I would love to go to Madame Tussad's museum! The photo with Snoop is awesome :) My husband and I want to take an adult only trip this winter to Vegas for our first time there. I have never been to Vegas but your posts have me dying to visit. Maybe that will be where I schedule my next vacation. I've certainly enjoyed following along with you on your Vegas trip, Kim. Phantom of the Opera is one of my favourite shows and your backsatge photos are wonderful. Daniel Craig looks very realistic too! I enjoy your travel posts as you always include so many details! Ha! I love it. I looooooooved the Venetian and my husband and I (we were actually engaged at the time) totally did the wax museum too. SO much fun! beautiful hotel. I've always wanted to visit Madame Tussauos. Also this is 'a very sweet blog'. I just went to Las Vegas for the first time this past February, so I really enjoyed hearing of all the things you did! Brings back so many good memories. You mentioned several shows and attractions that I didn't even know about, I'll have to try those next time. I'm glad you had such a good time KIm! Great post Kim, I will keep it and use it if I ever go to Vegas. The Venetian looks awesome and I am glad you enjoyed The phantom of the opera it has to be an amazing show. Hi Kim Doll, thanks for sharing all your wonderful Vegas memories with us. I went to LV when i was very very young and the Venetian was almost finished being built, so this was wonderful for me to see the decor and style inside. Madame Tussauds must be so much fun! You're looking really cool there with Snoop ;) They still have Treasure Island?? Thats amazing! Would love to visit again. Sounds like you had a great time. Las Vegas is one place i would like to visit. Kim it looked like you had a blast! so happy for you , love all the pics you gave me a different perspective of what Vegas is like, HOPE YOU HAVE AN AWESOME FRIDAY ! WOW, looks like you had a great time in Vegas! Vegas sure is so much fun!I'm sure Venetian is a fabulous place to stay! We stayed at the Vdara which is a complete smoke free and gambling free boutique hotel which provides resort like experience! If you want to enjoy the casino city but do not like living amidst smoke and gambling, I would def recommend Vdara! The Venetian Hotel is a beautiful and grand hotel to visit and also to stay in. We only visited there when in Las Vegas. So many activities including the Gondola ride. 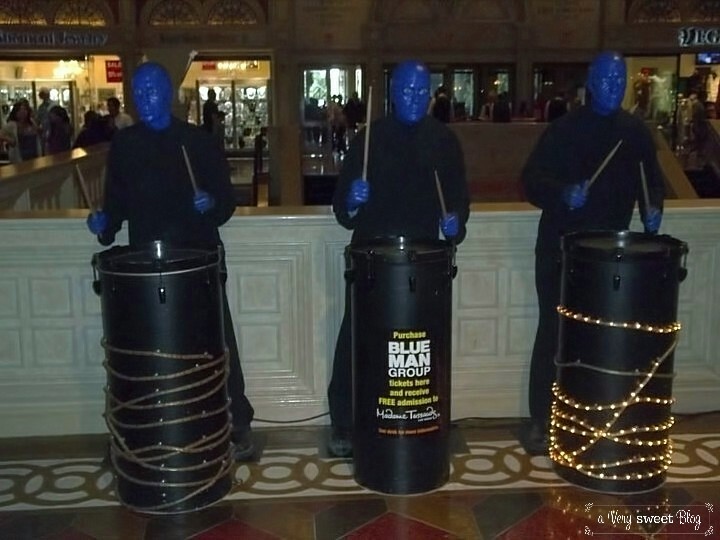 I admire the Blue Man Group. They are so talented. Looks like you had so much fun! Great post!!!! !I love Las Vegas. I usually stay at the Bellagio but Tao in the Venetian is my favorite restaurant in Vegas!!! While I would prefer real venice, that seems like a fun place to visit with most of the charm and a less expensive plane ticket! we stayed at the palazzo its connected to the venetian..i LOVE that hotel..my hubby went to the casino while I go shopping while pushing the stroller..i love the shops there ...great post kim! What a wonderful post for you to share Kim. I do like Vegas, but usually get so exhausted after 3 days. We saw Cirque du Soleil and stayed at the Venetian and Luxor one tim, and loved it. Now I'm dreaming all about the bright lights of Vegas - maybe I'll grow up and be a showgirl! Lol! Looks like it was such super fun and amazing trip, wish I could have been there with you! I can only imagine how how it was, mind you when I was there it was July and I got heat exhaustion! lol! I went to Madame Tussaud's in London and in Berlin, had so much fun! these pics are great Kim, you seem like you had great fun! All of your Vegas posts have me seriously thinking about a trip there, Kim! Although I'm not very close now that I'm in Paris, I was always so nearby that I thought, oh, I can go anytime... and then I never got there! That will have to change when I'm back in North America :) Thanks for sharing! You are quite the travel guide! I'm going to Vegas for the first time this summer so your posts have really helped. Thanks a mil. And TGIF! p.s. Have a question for you about Google +. Will inbox. Looks like such a fun place. Every post makes me want to go see it even more, haha! The Venetian sounds right up my alley with all that shopping! That is so funny about the pole dancing lessons. One day I hope to take a trip to Vegas! Have a great weekend! wow you really look like you were in venice!!!! beautiful trip indeed!!!! This really makes me want to go to Vegas again. I never got to do a gondola ride when I went. Next time you go, you should get tickets to La Reve at the Wynn hotel. It's like Cirque but in water! I've been there before! So fun :) Now I want to go back to Vegas!! You know, I never thought that I would want to go to Vegas, but now you are making me want to! You lucky thing. It is SO cool that you got an autographed copy of the program and I want to go to Vegas and see shows too! WOW Kim this is sooooooo unbelievably incredible! Want to do the gondola ride. Actually hubs and I are going to LV soon and staying at Wynn! Wow, you're totally making me want to book another trip to Vegas. I haven't been since 2006 and I'm sure a lot has changed lol. When I was at that wax museum, I had my photo taken with the president too. Not the cool prez though, it was Baby Bush. Sigh. Oh Kim, you saw EVERYTHING! I haven't been to Vegas, and I never thought I'd want to go, but you're tempting me! You haven't missed a thing dear ! Except for the stripper card of course :-) The Phantom of Opera, what a treat! I would have loved that! I've heard about the Venetian on tv, it looks like a reproduction of the best of Italian Renaissance. When you talk with such enthusiasm of a place, you make me crave for going there!! Lots of love darling!! Hi Kim, I stayed at the Venetian twice and I loved it! The rooms are so big! I love all these pics! How was the Blue Man Group? I always wanted to watch it. Is it worth it? Have a good weekend! 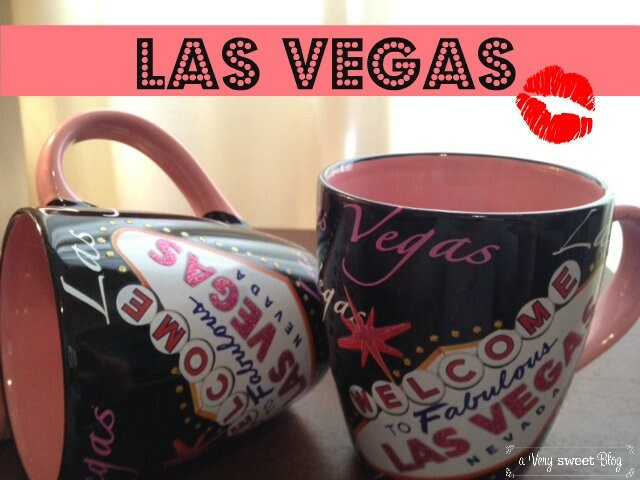 I would love to visit Las Vegas! Seems very fun from what you showed us! I loved the videos. I'm dying to go to Vegas. I want to visit the wax museum. I'm definitely going to remember The Venetian when we go, the rooms look amazing. 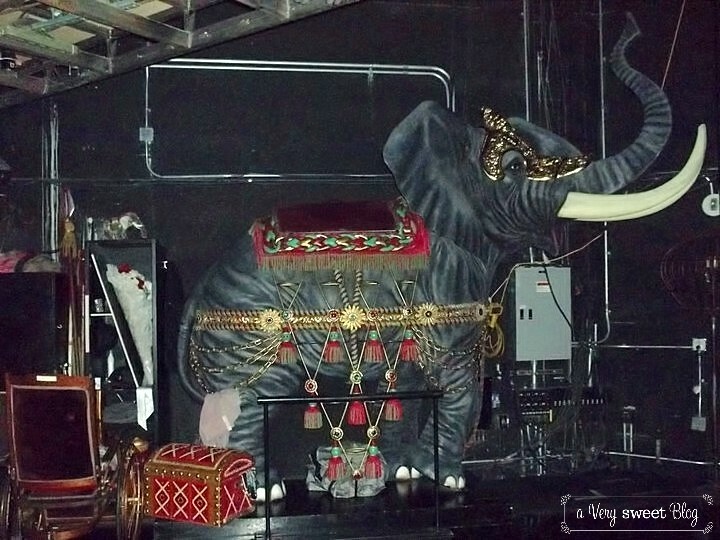 I would love to go see Phantom, your photos are amazing! OMG Kim I have that same cup! Love it! hehe! Oh sweetie looks like you have a lot of fun! i have always wanted to go to vegas!this is awesome..i am going to look at your other vegas posts as well now..and the blue men group is real?! !i thought that was something shown in Arrested Development only..haha! Hey Kim! It was nice to get your lovely comment on my blog! These vacations posts are kind of a favorite of mine because it feels like I get to travel with you! Imagine what a grand time we would have in Vegas if we went! I love the mugs. Pink and black can never go wrong. OOh... I so wanna visit Vegas the SIN City. I don't gamble but it is fun to imbibe in the decadent atmosphere. I would have to remember to check back this post for tips when I do head to Vegas. This post wants me to go back to vegas. wow! i love the hotel. and for sure that's a whole lot of money to spend, but i bet it's all worth it. i really hope i can also watch phantom of the opera someday. Oh the Venetian! What a beautiful, beautiful hotel! It's my favorite. We stayed at Aria, which was new and modern, but the Venetian has an opulent style. Looks like you had fun. I wish I could've seen Liberace museum before it closed!! So tacky but awesome,meh he. Oh I think you squeezed the life out of Vegas, went everywhere and saw everything ! Did you see the hot guy at the Illusions show at the Riviera ? Oh! Madame Tussaud! I had so much fun in there posing with so many celebrities and doing crazy pose! LOL!